The story of the Great War is not just the story of generals and Doughboys, kings and politicians, heroism and cowardice, life and death. It is also the story of the social change that flowed from and followed in the war's wake. 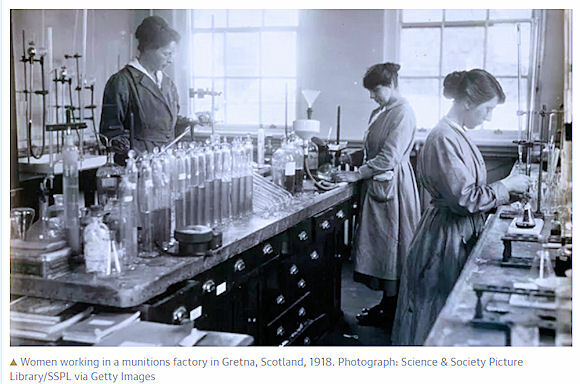 A Lab Of One's Own is the story of women's suffrage and admission to scientific laboratories in Britain during the Great War. The Great War caused great changes in Britain. Wartime demands and the numbers of men drawn to the front created both the demand and need for women to enter the work place. The recognition of the contributions of women provided support for women's votes. In 1914 Britain was a cauldron of strife between business and labor, among classes and ideologies. The rise of a common enemy summoned men, and women, to rally for king and country. The demand for female workers in industry flowed from two forces As men entered the armed forces their places were taken by women. As the blockade halted German imports Britain found itself running out of scientific supplies, including electric generators, tungsten, explosives medical drugs, and high-quality glass for range-finders. As prominent citizens accused the government of causing the deaths of their sons by not providing adequate equipment, the demand for increased and improved production lead to the establishment of the Ministry of Munitions, which started establishing factories all over the country. In the absence of trained and available men they were largely operated by women. By the end of the war three million women were working in industry. Their contributions to the war effort were recognized by Prime Minister Lloyd: "Who works, fights" and referring to women "(W)e have found that we could not carry on the war without them." Faced with such evidence women were added to the voters' rolls. New munitions manufacturers expanded their capacity to produce cordite, a low explosive that had already replaced gunpowder as a propellant, and TNT, a high explosive previously made in Germany that was needed to fill shells. They relied on women to fill their workforces. They justified this necessity with the comment that "Girls are more diligent in work within their capacity than boys—they are keen to do as much as possible and are more easily trained." So valuable were women's' concentrations that Lloyd George told the House of Commons that "it is not too much to say that our Armies have been saved and victory assured by the women in the munition factories where they helped produce aeroplanes, howitzer bombs, shrapnel bullets, shells, machine tools, mines, and have taken part in shipbuilding." Opportunities for women created by the war often evaporated with the return of peace. Female doctors who were deemed adequate to perform surgery on battle casualties were relegated to treat only women or to emigrate. In many other occupations returning men squeezed women back to their old occupations. Nevertheless, like toothpaste that cannot be put back into the tube, the world of Britain's women could not totally return to the previous status quo. Exclusion of women from occupations could no longer be justified on the basis of competency. Because of wartime training and expanded education, a higher proportion of women had professional qualifications in science, engineering and medicine, and more single women were demanding to earn their own living. Perceptions of the abilities of women were irreversibly altered. Women previously limited to food production were now permitted to move into the laboratory. A Lab Of One's Own is not totally a Great War book. Its focus is a collection of story lines of scientists and suffragettes told through narratives of themes and biographical snippets of women who entered scientific fields and led the suffrage movement. I found author Patricia Fara's writing style to be uncoordinated and hard to follow. Perhaps that is because, as an American, I am not familiar with many of the personalities referenced. 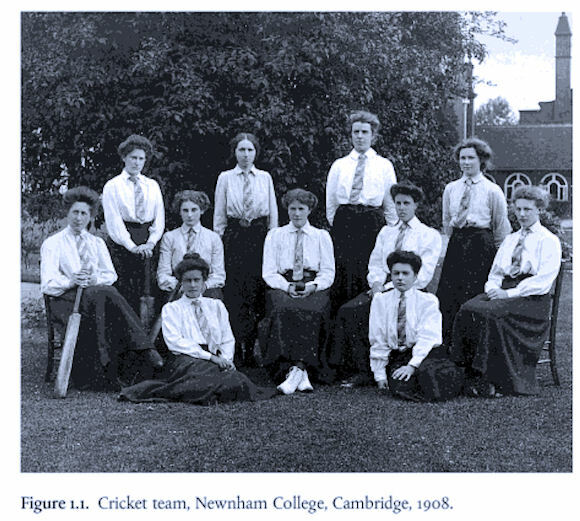 I think this work may be best appreciated by students of early 20th-century gender issues in Great Britain. A good critical review, Jim. The book gives solid evidence of how war can so often change social order. Many thanks!